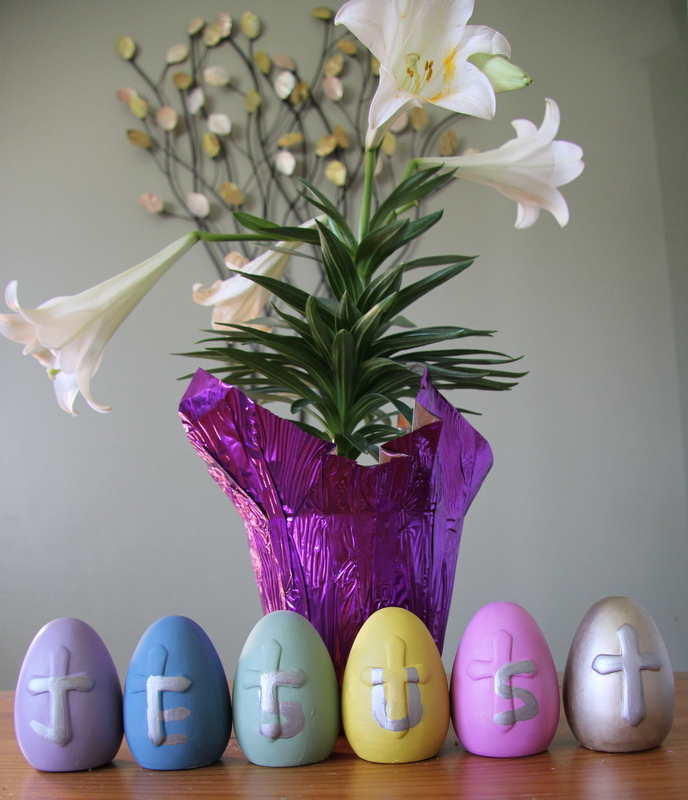 Fast, fun and Easy Craft for Easter! My daughter and I had a lot of fun painting these pastel easter eggs together. We painted ceramic eggs so we can use them next year. We mixed silver paint into each of the colours we used so that they would be a little metallic looking. This could easily be done with hard boiled or blown eggs instead and would display nicely in a basket as a center piece.